Most psychic chat rooms are friendly and open to talking about any metaphysical and spiritual tools and products. In psychic chat rooms, you'll find professional psychics and psychic interns, as well as the those who are just beginning to learn and those who are only curious. However, psychic chat rooms may also be for people seeking readings. There are several good psychic chat rooms online that are free. Those below include other registered members in the chats; it's not just you and the psychic as it would be in a private room, so anyone there is privy to your conversation. The rooms are staffed by professional volunteer psychics who moderate all the discussions. At anybodythere.net (ABT), you'll find one of the highest rated free psychic chat rooms. You'll have to join the site, participate in accordance with the chat guidelines, and sign a chat register agreement. Visitors and guests aren't allowed to do readings, and developing psychics can only do readings when there's a moderator present. Free readings in chat are a bonus for participating members. ABT is not a drop-in-center for instant readings. Sitejabber.com gives it 4 out of 5 stars with about 20 reviews. One reviewer says: "Anybody There - yes, they're out there, and this is where you'll find answers." Gratis Medium Chat offers online chat rooms where people can speak with psychics, mediums, tarot readers, and more. The purpose is to allow you to get to know the members of the community and decide which psychics you want to be connected to for readings. They also offer one free psychic question when you register and a free psychic reading of up to 10 minutes when you validate your credit card. The website gets positive reviews on Facebook. Visit Mystic Sisterhood, and you'll find sections for paranormal help and advice and general spiritual/ paranormal discussion on angels, spirit guides, animal totems, astronomy, past lives, conspiracy theories, healing circles, and so on. The community is run by volunteer mediums, clairvoyants, and tarot readers, and a wide range of readings are available for free. Chats are moderated and mobile friendly. There is no charge; however, you'll need to register to post in the forums and chats. A Mystic Sisterhood user says on Quora: "I had a free reading there and highly recommend them. I also had free dream analysis done. Very impressed." Psychic-Forum and Clairvoyant-Forum's Soul Development is a community forum. It's here you'll find a psychic forum, a psychic helpdesk, and reading rooms. To get a reading, you must join the forum. Soul Development does have specific guidelines, and the members do, from time to time, offer free readings to other members, but members must be over 18 to request or receive a reading. The best way to think of a free private psychic chat room is they are not actually free. They are a private space where you can interact with a professional psychic without others present, ask questions, and test them out prior to getting a paid private reading. Of course, if you want a long, in-depth private reading, psychics, like all professionals, do cost money. Psychic Access has some great readers and is offering a 6 minute free psychic chat (in a private room). Psychic Access requires their users to register. After you register, they'll give a new customer a free 6-minute reading. There's no need to enter your credit card and for that alone, Psychic Access is well worth checking out. Psychic Review Online give it a 3.5 star (out of 5) rating from about 70 reviews. At Oranum, you register for a free membership and then chat free with a psychic for as long as you like. The hope is you'll like the psychic enough to pay for a reading. Oranum offers free video chat. However, if you don't have or prefer not to use a webcam, you can still get a free reading by typing your questions into the chat box. Psychic Review Online gives Oranum a 3-star rating with over 50 reviews. Affiliated with Oranum, Psychic Sign is a psychic service that offers free psychic chats with psychics, tarot readers, clairvoyants, empaths, and more. You can sign up for free and speak with a psychic via online chat or video chat. 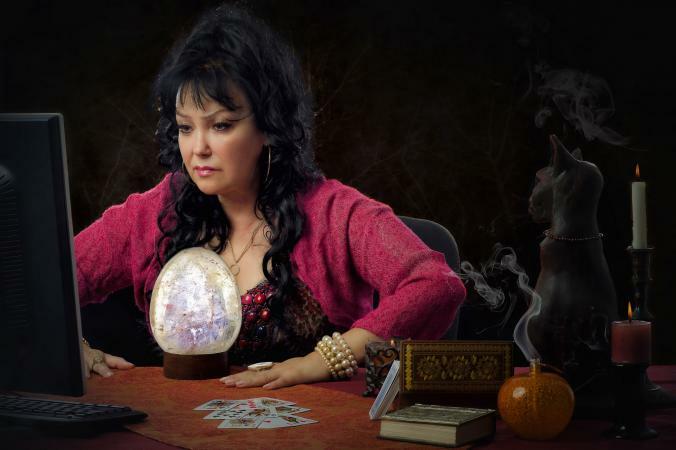 Psychic Source has been around for over 25 years and offers live psychic readings via online chat. To use Psychic Source's services, you must register and purchase minutes, after which your first three minutes are free. Psychic Source gets a 5-star rating with over 350 customer reviews from Psychic Review Online. You can chat free for three minutes at Kasamba.com's website or on their app, but only once. You must register on Kasamba's website, but registration is easy; simply select a psychic, click to chat, and you'll be walked through the registration process. With the app, you choose a psychic, enter your payment information, and you'll only be charged if you chat over three minutes. The app is available at Google Play or at iTunes. Trustpilot gives Kasamba a 4-star rating. There are so many hazards on the internet, so it's better to be safe than sorry. As far as a psychic reading goes, it can be especially difficult in a public psychic chat room to know who's a genuine psychic and who isn't. Therefore, it's especially important to know the chat room monitors, to get to know the chat participants, and to share as little personal information as you can. 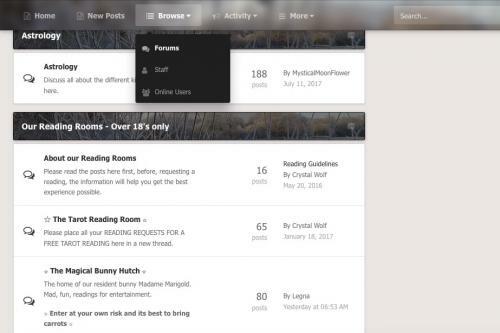 Though you may have to reveal some personal information when registering, the public chat rooms above allow you to communicate with psychics or others who participate while remaining anonymous.